Join the Department of English and Creative Writing at the Peter Scott Gallery for an electrifying evening on the 29th November with spoken word poet Salena Godden. Godden is the author of literary childhood memoir Springfield Road, successfully crowd funded and published with Unbound in 2014 and Fishing In The Aftermath: Poems 1994-2014 published with Burning Eye Books. Short fiction 'Blue Cornflowers' was shortlisted for the 4th Estate and Guardian short story prize in June 2016. And commissioned essay 'Shade' is published in ground breaking best seller The Good Immigrant. LIVEwire is released this October 2016 with independent spoken word label Nymphs & Thugs. Written, performed and produced by Salena Godden, this new live poetry and spoken word album features live and studio recordings, archives and brand new unpublished work. LIVEwire also includes performances of pieces from books ‘Springfield Road’ and ‘Fishing in The Aftermath’. As one of the UK’s most iconic poets, Salena is a regular performer at literary events, touring constantly and topping the bill at numerous festivals nationally and internationally. She's appeared as guest and writer for BBC radio programmes such as The Verb, Saturday Live, Loose Ends, Fact To Fiction and as poet in residence on the BBC World Service programme Click. Salena has written and presented several arts programmes with award winning documentary maker and producer Rebecca Maxted. These include 'Stir it up - 50 Years Writing Jamaica' and 'Try A little Tenderness - The Lost Legacy of Little Miss Cornshucks' both for BBC. Widely recognised as a trailblazer for fellow performers, Salena Godden is a true renaissance woman, her stage presence and voice are distinctive, her performances are electrifying, intensely powerful and filled with humour and warmth. 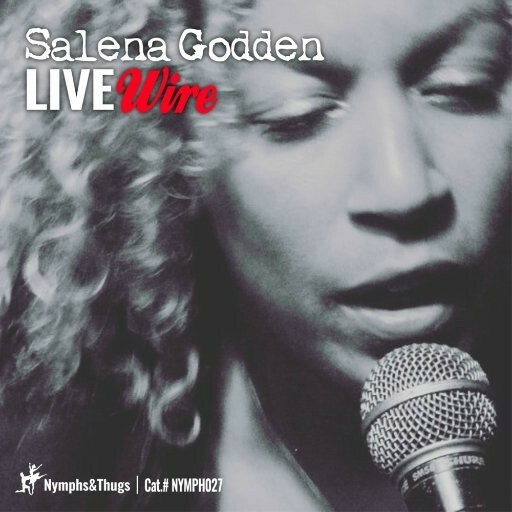 You can now pre-order Salena Godden's hotly-anticipated 'LIVEwire' album - on vinyl, CD or download from Nymphs & Thugs. This event is free to attend, however it is essential to reserve your place in advance.